Ceramic. Beautiful. Perfect wedding or shower gift. Summer entertaining. Set of 2 - 6.25"H - 16 oz. capacity. 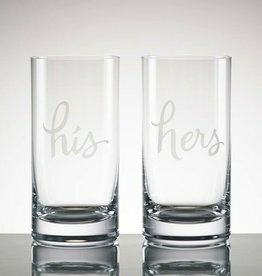 Perfect for newlyweds or people who just want to keep it straight. Crafted of etched glass. Dishwasher safe. 6.25"H - 16 Oz. 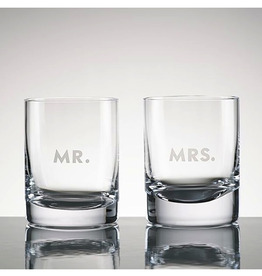 kate spade has the perfect wedding gift answer with the set of two Darling Point Double Old Fashion Glasses. 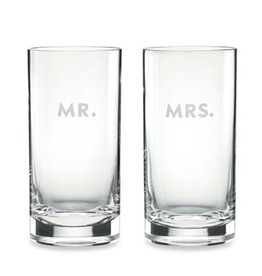 Beautifully crafted of sparkling European crystal, this set of elegant glasses is etched for the happy couple with one "Mr." and one "Mrs."
Sophisticated and stylish, the kate spade new york Oxford Place Saucer and dinnerware are a study in simple elegance. 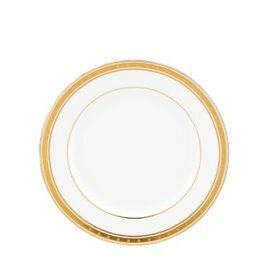 The combination of white fine bone china and bands of shimmering gold gives this saucer a formal look that is also warm and inviting. Rimmed in precious platinum, the kate spade new york Larabee Road Platinum Serving Bowl is not only a great dinnerware serving piece but a great display piece too. Pour on the polka dots - and gravy - with the whimsical yet sophisticated kate spade new york Larabee Road Platinum Sauce Boat & Stand. 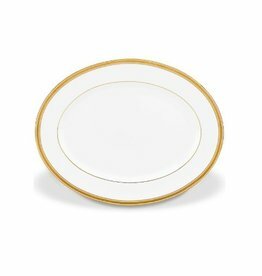 Designed by kate spade new york, this elegant dinnerware accessory is trimmed in lustrous platinum. Perfect for pasta or soup, the platinum polka dotted kate spade new york Larabee Road Platinum Soup Bowl is a bit of whimsy for your table. Part of the Larabee Road Platinum dinnerware collection. The fun-filled sugar kate spade new york Larabee Road Platinum Sugar Bowl bears platinum banding and whimsical polka dots. 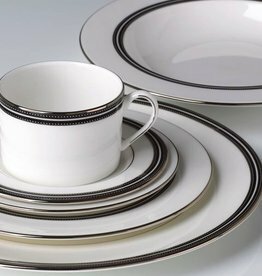 Part of the elegant Larabee Road Platinum dinnerware collection. Pave your table in polka dots for fine dinnnerware without the formality. The kate spade new york Larabee Road Platinum All Purpose Bowl features luxe bone china with platinum accents that combine easy elegance and irresistible whimsy. The rim of the kate spade new york Larabee Road Platinum Saucer is decorated with a whimsical design - dozens of platinum polka dots. 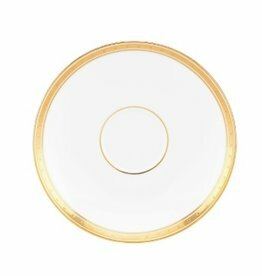 This elegant saucer is part of the Larabee Road dinnerware collection.